It’s October which means Halloween is just a few weeks away! It’s time to start planning a class party and decide on Halloween costumes. My favorite Halloween class party treats are these monster cupcakes. These are really easy to make using a novelty eye ring as your topper. 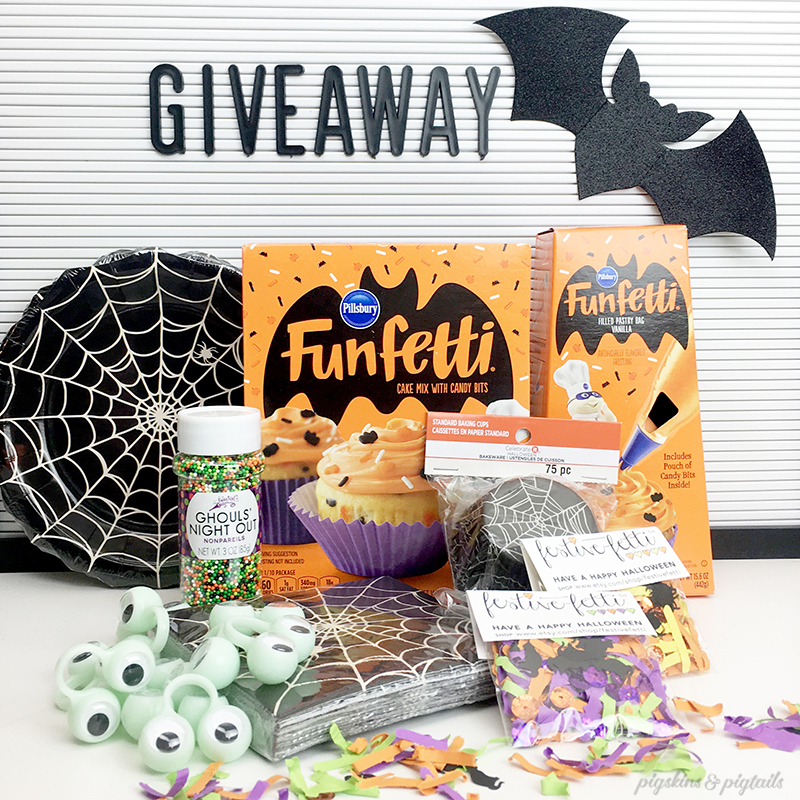 And today, I’m so excited to be giving away all of the supplies you need to create your own Halloween monster eye cupcakes. My very first Instagram giveaway just launched so head on over to my Instagram page to enter! This fun Halloween Party-in-a-Box could be yours! With the help of Festivefetti and I’m ready to send it off to one lucky Instagram follower. Entering the giveaway is simple! That’s it! Open to residents of the US. Giveaway runs 10/1/18 1:00 pm EST through 10/5/18 midnight EST. Winner will be announced Monday 10/8. This giveaway is not sponsored or endorsed by Instagram.